Come join us for our 2nd annual Summer kick off 5K on the beautiful Snowmass Club golf course. Bring friends and family. The perfect way to kick off your summer training. 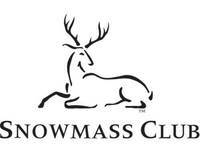 An exciting rolling course through the Snowmass Club Golf course. Party after outside of the Black Saddle afterwards! Cant wait to see you here!